A test of the impact of parent management training on children of incarcerated parents. A majority of state and federal prisoners in the U.S. have at least one child under the age of 18 years. Parental criminality, arrests, and incarceration are at least modest predictors of violent and serious child delinquency, and there is evidence that the impact of parent criminality on child antisocial behavior is mediated by parenting practices. A variety of non-standardized programs aimed at improving inmate parenting practices have been delivered in U.S. prisons, but rigorous scientific knowledge on the impact of such programs on inmates and children has been lacking. To begin to remedy this lack of knowledge, we conducted a randomized preventive intervention trial to test the impact of parent management training on the children of incarcerated parents. Incarcerated parents (n = 400) were randomized into a parent management training preventive intervention (PMT) or services as usual. PMT combines current standard-of-practice prison parent education curricula with state of the art, empirically based parent management training content and methods. Collected data allowed for an examination of whether a theoretically and empirically based, group-delivered parent management training program for incarcerated parents positively impacts the behavior, well-being, and relationships of the inmates, their children, and the caregivers of their children while the inmate is inside and outside of prison; and whether any changes in child and caregiver behavior, well-being, and relationships are mediated by intervention-initiated changes in inmate parenting practices. Dr. J. 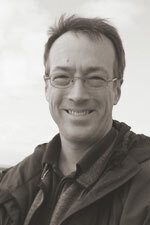 Mark Eddy is a Senior Fellow Scientist and Licensed Psychologist. He is a Senior Research Scientist with the Family Translational Research Group at New York University, where he is involved in a wide variety of basic research and preventive intervention projects. During his over 25 year career at OSLC, he served as the principal investigator on multiple randomized prevention trials of programs delivered within systems of care relevant to children and families. These include the Child Study, a multi-site longitudinal randomized controlled trial of the Friends of the Children professional youth mentoring program; the Relief Nursery Study, a randomized controlled trial of a multimodal therapeutic preschool program for at risk children and families; the Parent Child Study, a randomized trial of Parenting Inside Out, a parent management training with incarcerated parents within adult corrections; the Paths Project, a study of the transition into young adulthood for youth who were heavily involved with the juvenile justice system and who participated in a randomized trial of Multidimensional Treatment Foster Care (MTFC, now known as Treatment Foster Care Oregon); and the Linking the Interests of Families and Teachers (LIFT) Project, a study of the transitions into young adulthood for participants in a randomized multi-modal school-based prevention intervention program that began during elementary school. He also served as co-investigator with OSLC scientist Dr. Charles R. Martinez, Jr. (now director of the Center for Equity Promotion in the College of Education at the University of Oregon) on a variety of projects through the Oregon Social Learning Center Latino Research Team, including the Latino Youth and Family Empowerment Project I and II, which developed and tested a culturally specific parent training intervention for Latino families with youngsters at risk for substance use and related problems; the Adolescent Latino Acculturation Study, which was designed to learn more about how Latino families and their middle school youth who have immigrated to the U.S. adapt to life in this country; and PREVENIR, which developed and refined a culturally specific parent and teacher training program in four countries in Central America. Following his work at OSLC, he worked for five years as a Research Professor and Director of Research at Partners for Our Children in the School of Social Work at the University of Washington, where he was engaged in a variety of projects focused on children and families involved in the child welfare system, including the development and testing of the STRIVE program. Dr. Eddy has a strong commitment to finding ways to link the research community with practitioners and policy makers to improve outcomes for children, adolescents, adults and families. He is actively involved in work in this regard in projects around the U.S. and internationally, including with the U.S. Armed Forces. His book for clinicians, Aggressive and Defiant Behavior: The Latest Assessment and Treatment Strategies for the Conduct Disorders, reviews the most effective treatments for the conduct disorders. He co-edited the book Children of Incarcerated Parents: A Handbook for Researchers and Practitioners (Urban Institute Press) and has worked for over 20 years with incarcerated men and women, including current projects with the Washington Department of Corrections and with Sponsors, Inc., a transitional housing program in Eugene. His primary research interests include the development and prevention of child antisocial behavior and related problem behaviors, such as substance use and abuse, academic failure, and high risking sexual behavior; Coercion Theory; the development of preventive interventions for incarcerated parents, their children, and the caregivers of their children; early childhood education and intervention; youth mentoring; preventive interventions for physical health problems; and the development and prevention of adjustment problems during adulthood, including substance abuse, intimate partner violence, and suicidality. His primary clinical interests are parent education, parent management training, and individual and marriage and family therapy, with a specific focus on empirically based cognitive-behavioral interventions. He is also interested in the interface between science and policy; culture/ethnicity and prevention; observational research methods; quantitative and qualitative methodologies; and the history of science and psychology.